Let me share some stories of myself with SBS9888Y. It’s the first Volvo Super Olympian and first super low floor DD in Singapore. Bodied by Volgren, it entered service in 2000. It looked different from the later production batch. I first knew this bus from a Bus Fans World activity. I saw a picture of this bus on service 87. 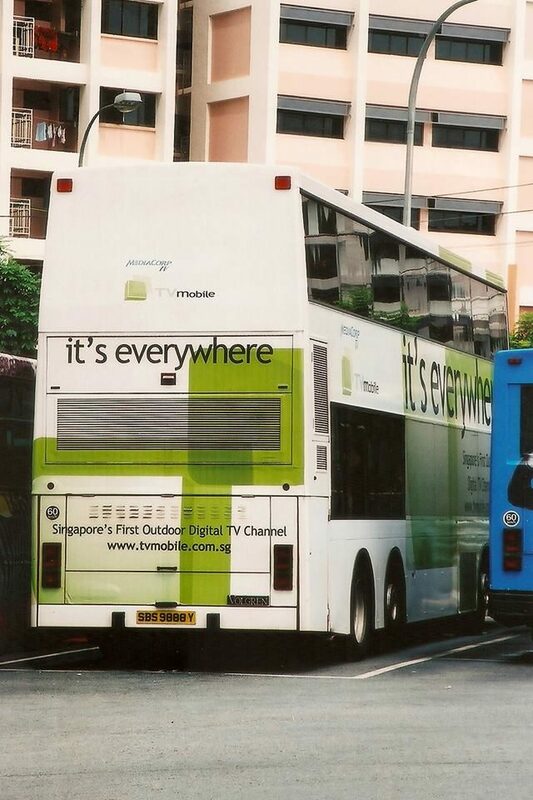 I went to Singapore to look for this bus in 2000. I was a high school kid at that time, and I had originally planned to travel with a classmate, but in the end I had to travel alone. So I’d better not tell my parents, but my trick wasn’t successful! With a “Transit Link” guidebook and limited information, I went to Sengkang, where a lot of housing estates were still under construction at that time. I politely asked the station manager about SBS9888Y, and he told me that it’s now on service 502 rather. He kindly showed me the way to Hougang, and told me the arrival time of the bus. SBS9888Y arrived in Hougang on time. I got on the bus and travelled a long way to Boon Lay on the other side of Singapore. It took 1.5 hour to complete the “express” journey! 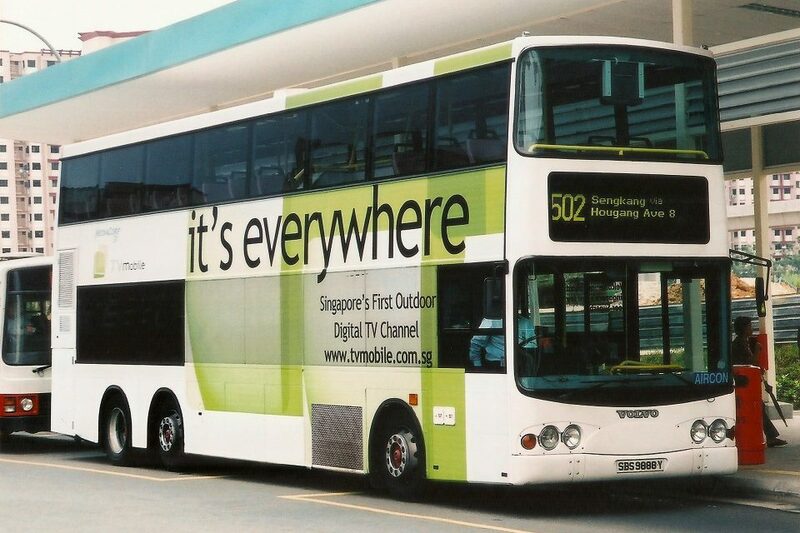 I was very enthusiastic about Singapore buses at that time, mad enough to run a website called “Singapore Buses”. It can still be found online (web archive), but I realise some information are actually incorrect. 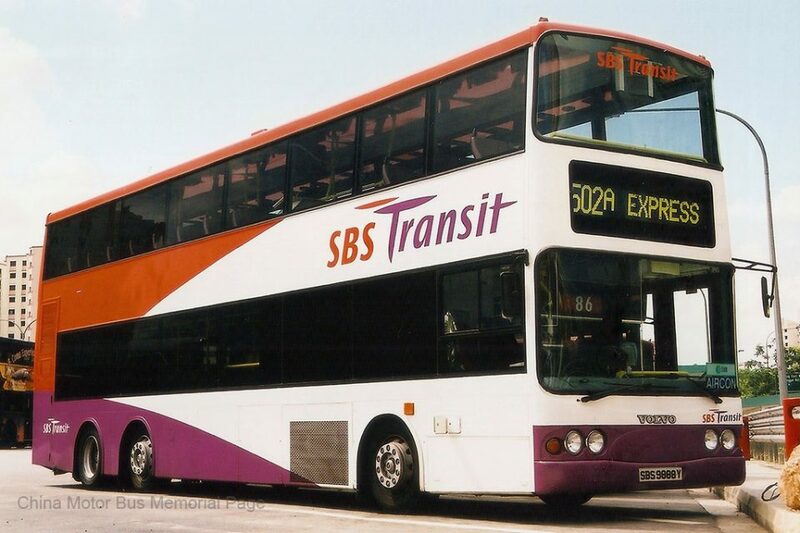 I was fortunate enough to spot SBS9888Y every time I visited Singapore, until it got burnt in depot in 2010. From left to right: SBS9888Y in the year of 2000, 2001 and 2002. Every time it looked different. I saw the bus arriving at Hougang temporary bus terminus after waiting for a short while, thanks to the information provided by the station manager at Sengkang. 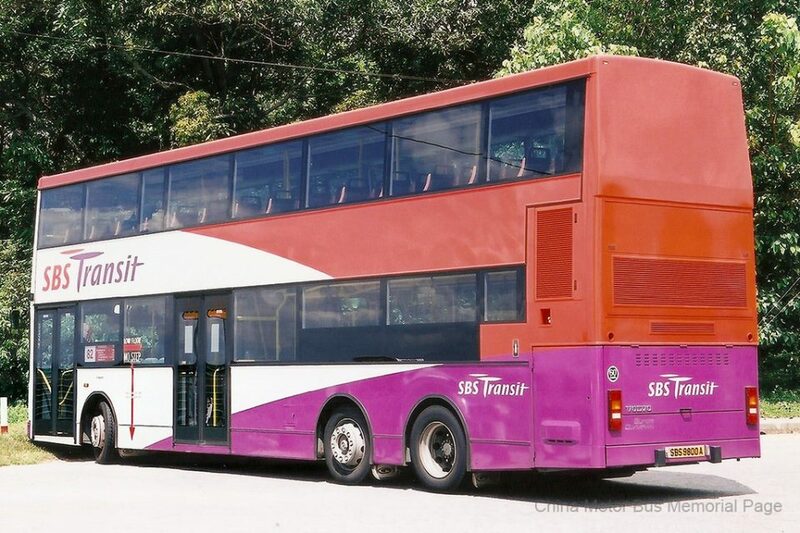 The Volgren bodywork on SBS9888Y looked quite similar to Alexander Royale body on Volvo Olympian. 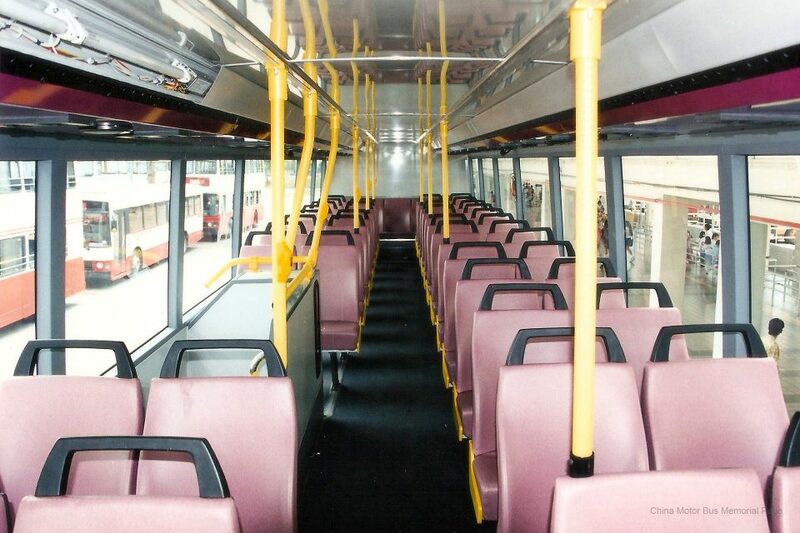 The bus was ready to depart from Hougang to Boon Lay. With limited information available at that time, my spotting strategy was to wait and wait and wait! This has made me a more patient person though. 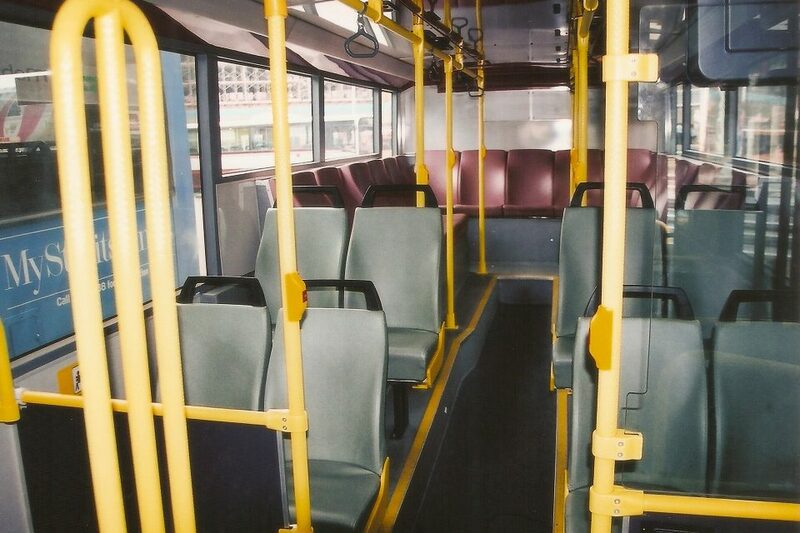 As a demonstrator, the interior design of SBS9888Y was different from the later production batch. It was similar to CTB’s 2800, and KMB’s AMN34/35. The bus arrived in Boon Lay after 1.5 hour. Today, the bus and the bus terminus are both gone! The size of the windows on SBS9888Y were different from the production batch too. It’s unique in the fleet. I took this picture in the middle of the bus park where pedestrian access was prohibited. I feel quite guilty now looking back! The second encounter with SBS9888Y was quite dramtic. In 2001, I joined my school tour to Singapore as a photographer. I wasn’t able to spot the bus during the journey. On the last day, my classmates went shopping in a duty-free shop on Orchard Road. I decided to photograph buses outside the shop. 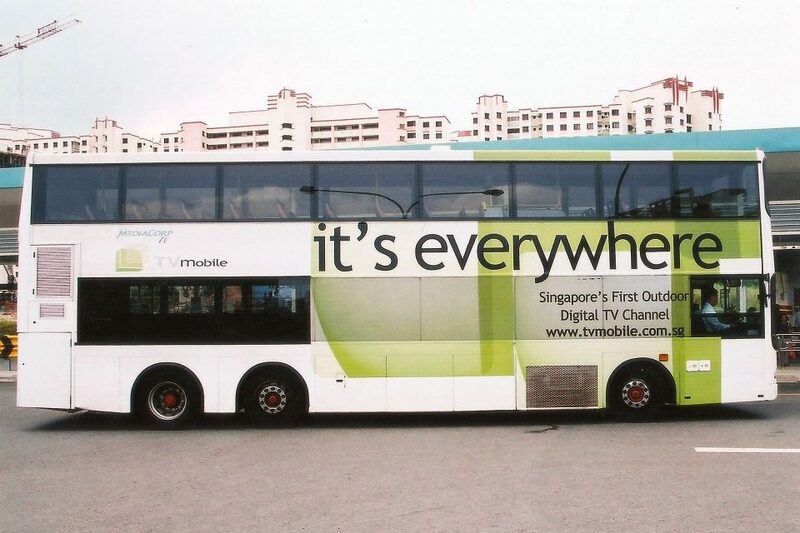 Much to my surprise, SBS9888Y came up with ‘TV Mobile’ advert. But all of a sudden something tragic happened – it was blocked by a Mercedes car next to it. I wasn’t able to take a good picture of the bus. Being extremely disappointed, I asked my teacher if I could leave the tour for the afternoon, and joined them at the airport later. At first it wasn’t approved but later I was allowed to go with another teacher. After lunch, we traveled to Sengkang bus terminus, which was the new destination of Svc.502. I politely asked the station manager its arrival time, and he told me that it should be there in 30 minutes. I was glad to photograph my target, while my teacher was also happy to enjoy a cup of coffee at the bus terminus. Later, we got on a Scania N113 single decker and joined the group at Changi Airport. It wasn’t the end of the journey though. That night, we couldn’t land in Hong Kong due to typhoon. Instead we were diverted to Manila, stayed there for an extra night, and returned to Hong Kong on the next day. It was a memorable journey. SBS9888Y arrived in Sengkang. My second time to meet the bus. SBS9888Y in TV Mobile advert this time. TV Mobile broadcasted live programme by digital broadcast technology. 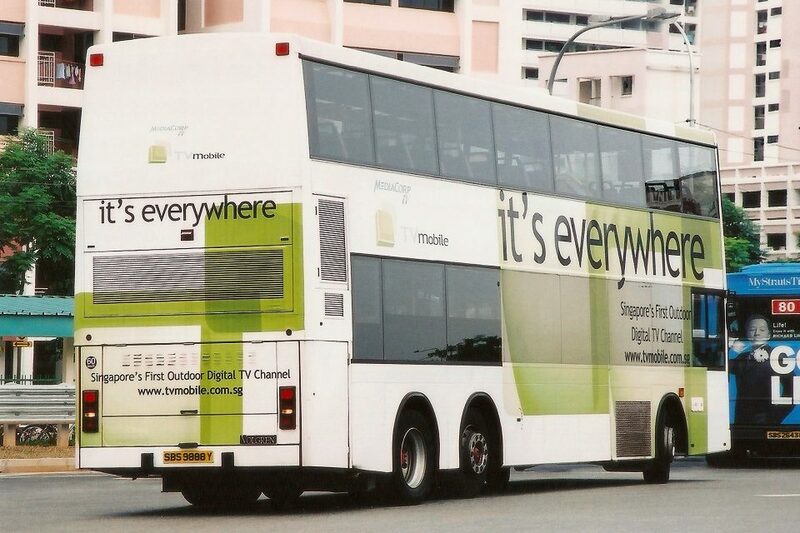 Antennas were installed on some buses to receive live signal. TV Mobile was discontinued in 2010. 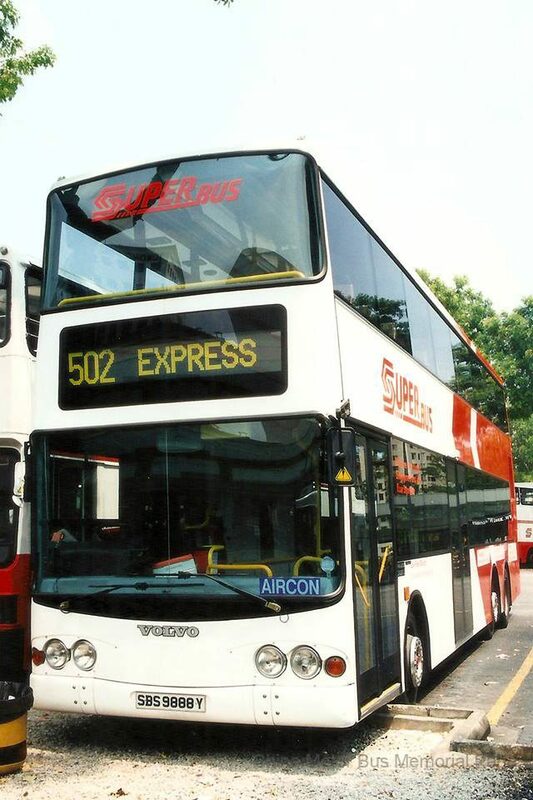 This time, Svc 502 was extended to Sengkang, which had been upgraded to a fully equipped bus terminus. It was a temporary street station the year before. 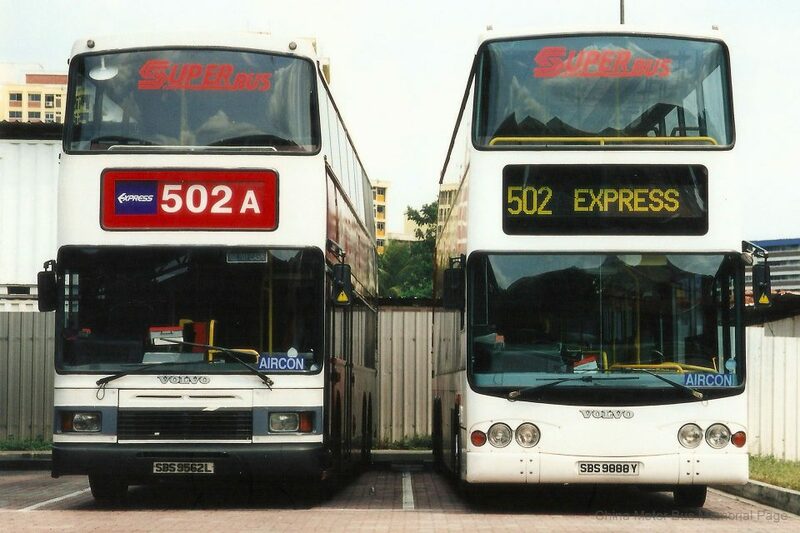 Nowadays, Sengkang bus terminus has become an indoor bus interchange, and is also served by North East Line run by SBS Transit, the first driver-less subway system in the world (according to Wiki). 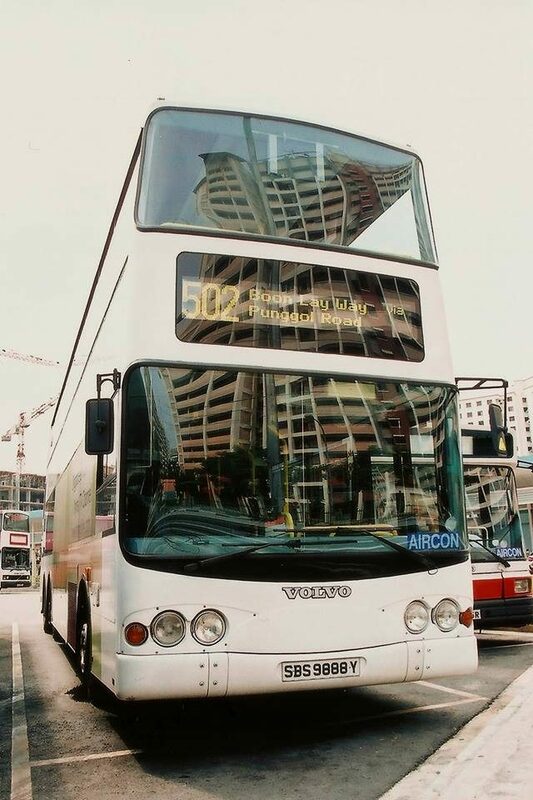 In 2001, Volvo buses played a vital role in SBS fleet. 3 types of Volvo buses are spotted in this picture. The lower-deck saloon of SBS9888Y. 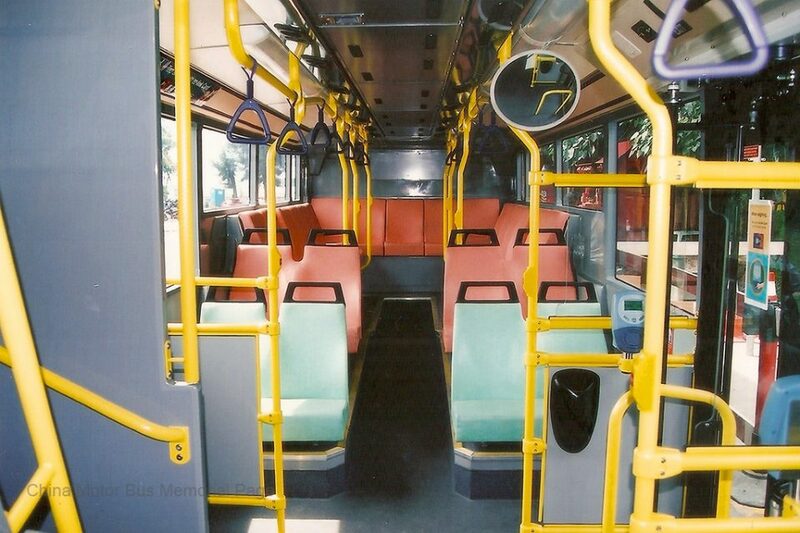 Side-facing seats are fitted on the wheels which is different from Hong Kong. SBS9888Y was ready for departure. See you next time! Finally I’ve got some time to finish this article about SBS9888Y, the Volvo Super Olympian demonstrator, while on my way to Singapore. 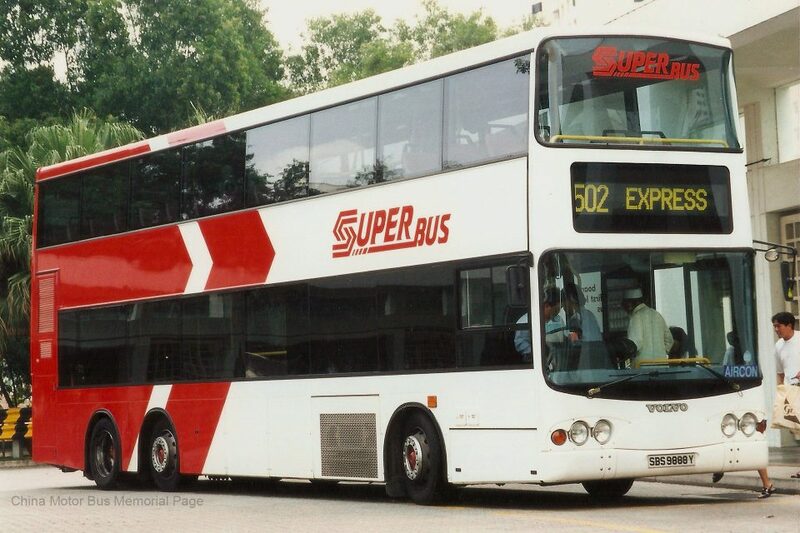 In 2002, I went on a bus spotting trip in Singapore, after finishing my AL exam, and obviously one of my targets was SBS9888Y. I took over 20 rolls of film in a week in that trip, crazy me! 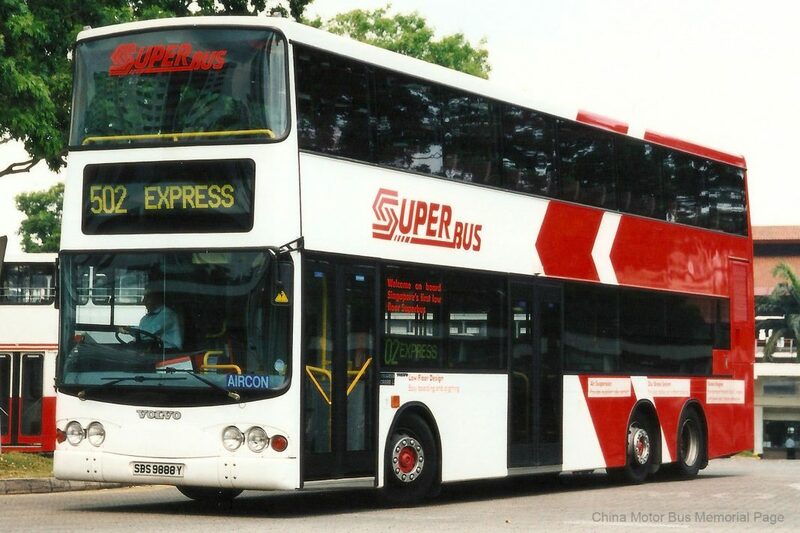 I managed to photograph SBS9888Y at Sengkang terminus, without much hassle this time. 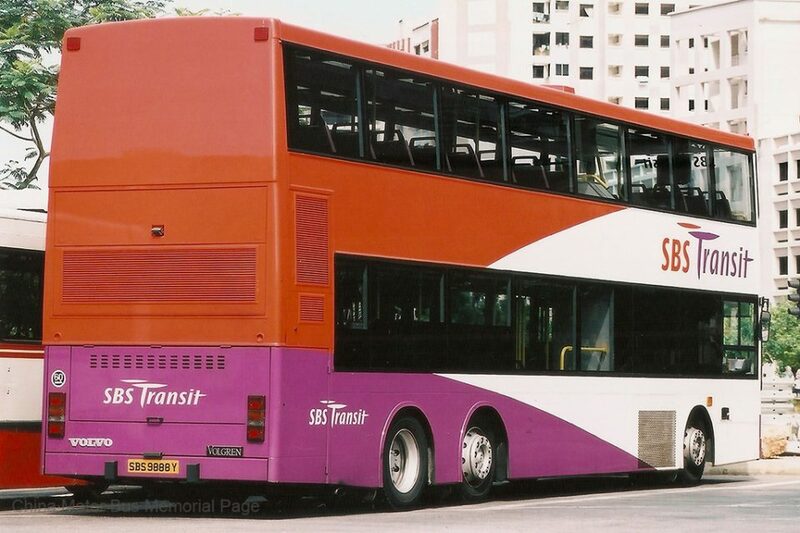 It was the transition era from SBS to SBS Transit, and 9888Y was one of the first bus to adopt the new SBST livery. However, I still prefer the original livery which was uniquely designed for this demonstrator. 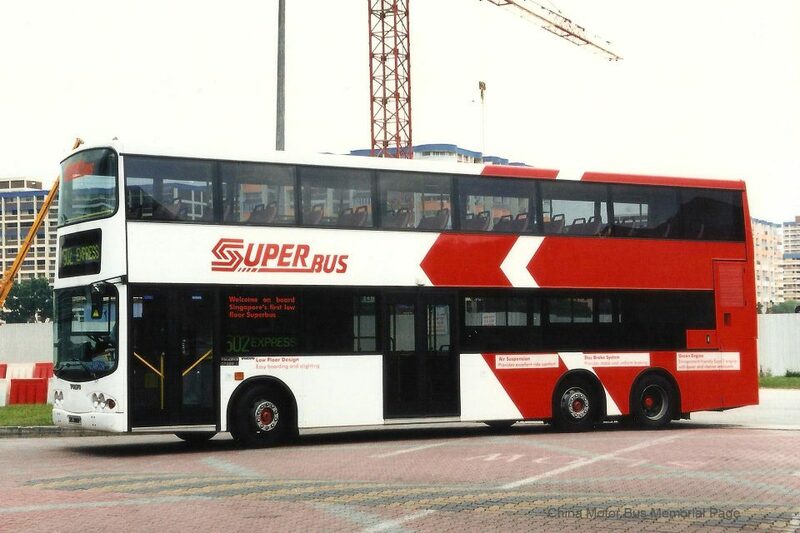 During this trip, I was delighted to sample a brand new Super Olympian, SBS9800A. Despite also having Volgren body like 9888Y, there are observable differences between this production unit (and the subsequent 49 Super Olympians) and the demonstrator. 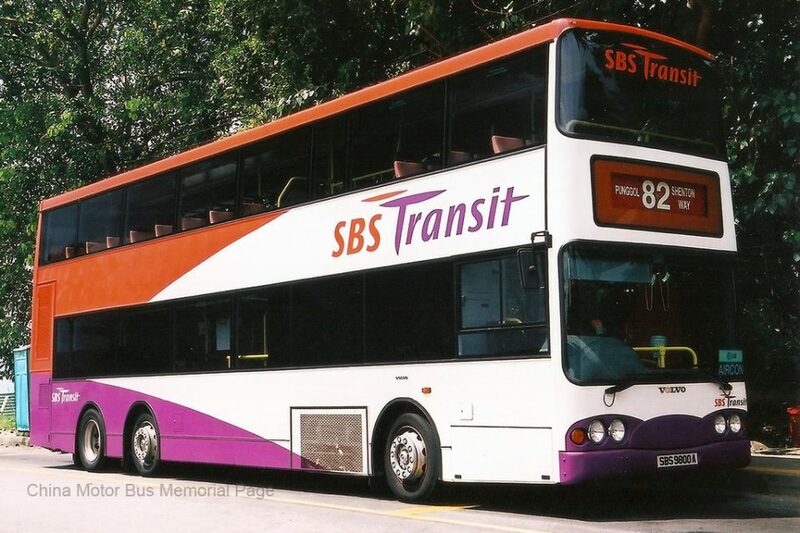 Since then, I managed to come across SBS9888Y on all my visits to Singapore. The most memorable moment was, 9888Y arrived at Bedok interchange and parked right in front of me, just before I was about to leave Singapore. It was also the last ever time I met this old friend. Now I’m on my way to Singapore again, hoping to sample some B10Ms before they are completely phased out next month. However, SBS9888Y could only live in our fond memories, as it was destroyed in depot fire in 2010. This is already the third livery in 3 years. The electronic destination display was replaced by traditional plastic plate system. This unique bus was finally destroyed in Ang Mo Kio depot fire in 2010. SBS9888Y again, but this time it’s in SBS Transit livery. It’s still serving route 502 series. 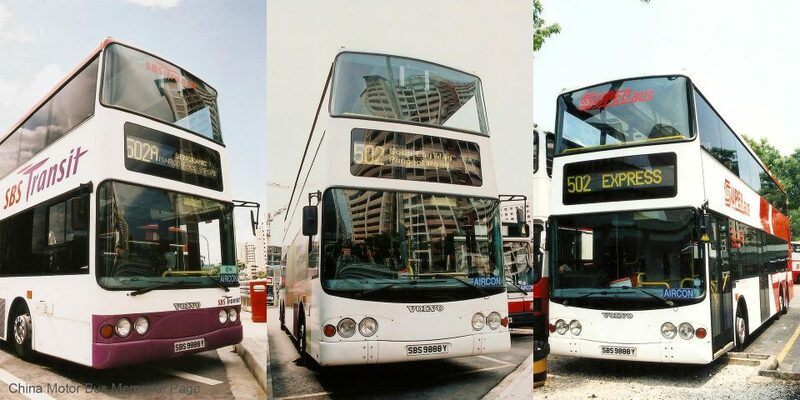 SBS9888Y in 2000, 2001 and 2002 (right to left). The Volgren bodywork of the production batch looks different from the demonstrator, in terms of the alignment of window pillars and the cabin design. 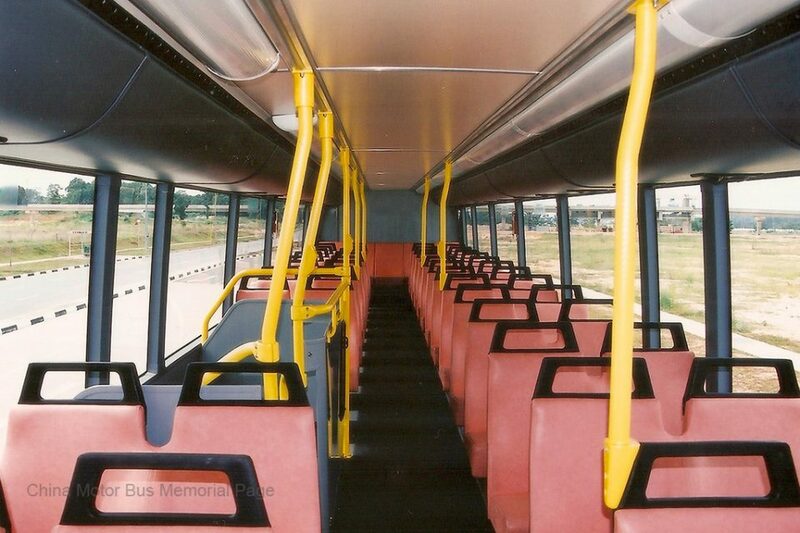 It’s closer to KMB examples, but KMB units are more rectangular, resulting in different upper windscreen design. 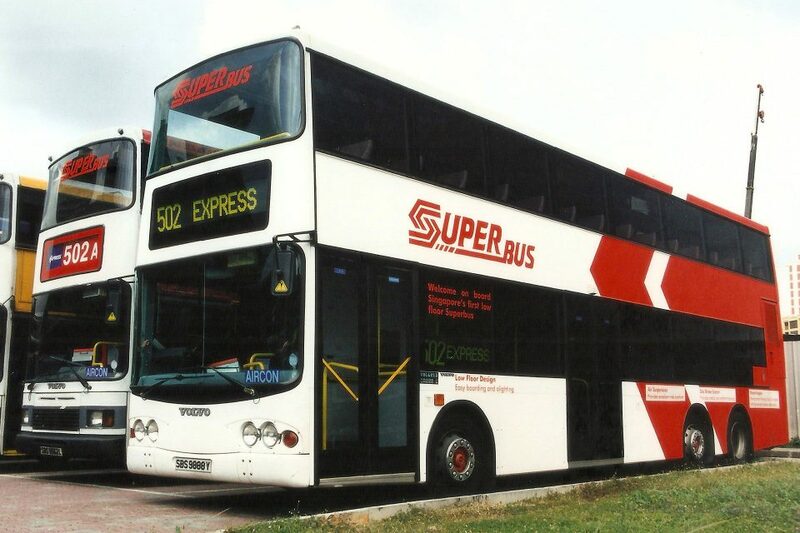 I was fortunate to spot SBS9800A, the first of the production batch which just entered service. It was on service 82 which destinate at Punggol Way. In 2002, Punggol was still quite remote and undeveloped, and the bus had to make a U-turn and reverse at the end of the narrow Punggol way. Today it’s become a residential town with metro connection. The lower-deck cabin of the production batch. The upper deck cabin of the production batch.